An aggressive outburst in the Jobcentre, a violent clinch between young lovers and an insolent teenager with something to hide. Bubble Young Theatre Makers explore the pressures that young people face and the things that push to the point of feeling powerless. Everyone has a back story. 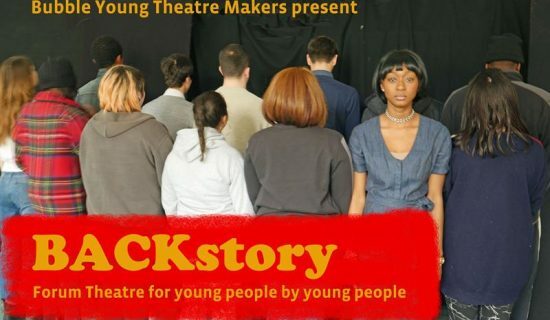 BACKstory toured schools & youth settings in March & April 2017 with public performances at London Bubble on Friday 31st March.